The Six Pack not only makes toting your favorite beverages easy, but it keeps them ice cold as well. This insulated beverage carrier is made from durable neoprene and has 2 reinforced handles. The front of the tote features a pocket for added storage. 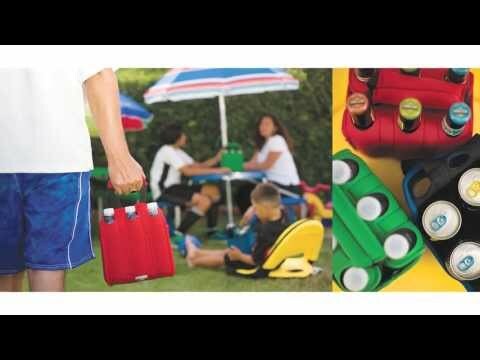 This beverage tote accommodates most beverage bottles and can sizes up to 20 ounces. Picnic Time products are warranted to be free from defects in materials and workmanship for the life of the product when the product is used for the purpose intended.